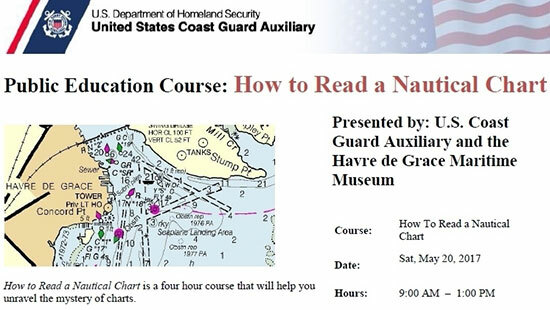 Taught by the Coast Guard Auxiliary, learn to unravel the mystery of charts. When navigating on land, one uses a map. At sea, the boater must use a nautical chart. Learn how.